Video updates are all over your Facebook and Instagram feeds these days and it’s vying with the volumes of text-based content shared daily for eyeballs. Videos are increasingly becoming more powerful for storytelling and prolific in widening your reach. 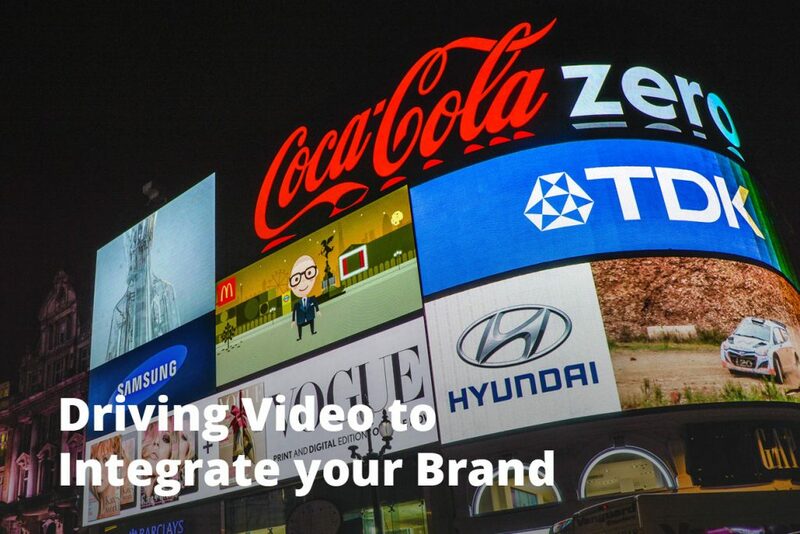 Everything imaginable from gadgets, travel destinations, entertainment, celebrities to business decision-makers are using the high energy, hot-off-the-press video approach to give ‘live’ updates that create immediacy and exclusivity. Personalisation is also the other big trend sweeping the social space. Marketers can reach their users across all platforms and devices and they can distribute personalised videos with customised aesthetics, shoppable tags and real-time analytics. Through a case study showcasing the accomplishments and product uniqueness or an in-house video update, your brand can shine to its extent. You can have its identity shared to viewers you’d usually find hard to track and create exposure for the product variants that fall under it. Interactivity is also another big game changer in keeping audiences on their toes. Passing on the baton to the user to participate in the video leaves them in the driver’s seat, be it quizzes, contests, photo filtering, following a user guide and identifying trends. By making decisions and responding to provoking questions, this pushes engagement levels and awareness of the user up. Interactivity in an otherwise static, undifferentiated video results in more substantial viewing times, relevant capture of data and is spot on in keeping them curious and compelled to learn more. Think of recruitment videos and you’re usually uninspired imagining talking heads in suits selling rehearsed corporate fluff. Deloitte decided to make its usual recruitment process more colourful and approachable. In the video which takes a look at an employee’s typical work day, viewers can decide their reaction to a variety of job-centred situations such as how to respond should a printer fail or how to inform a colleague about a stain on their clothes. Clever way to attract potential hires and see if they are a suitable fit! Event invitations are fairly predictable with the usual upsell of what the event has to offer and promotional messages teased out in the video. Marketo decided to create an event invitation that is memorable and that creates a sense of excitement and personal value. How a user connects with a business is integral and will shape the relationship that he or she has with it. In their Marketing Nation Summit invite, you’ll see a stylish customisation that has your name in blinking neon lights on the celebrated “Welcome to Vegas” sign and alongside Hollywood A-listers. Wouldn’t you just click to learn more about the event? How can an automobile brand be perceived in a more light-hearted and friendly way whilst retaining its trust and quality assurance? Honda found the trick by unfolding a video that gives viewers the liberty to choose between dual storylines. By allowing them to plug and play their own narrative, it creates a sense of energy and uniqueness and lets them decide which aspects of the brand they identify with most. One of the narratives is about a daughter being picked up by her dad and on her way to a school party. If the viewer hits ‘R” on the keyboard, the story gets an exciting twist and the father is revealed to be an undercover cop with secret dealings! The user experience is heightened becoming more suspenseful and leaving the viewer with the aspirational, emotive qualities of the Honda vehicle. Chocolate is more than just another candy and is a meaningful sentiment and has types to suit every occasion. Understandably as chocolate in Asia is not that common a gift, Cadbury decided to create a “happiness” campaign to encourage gift-giving of chocolate. In a sweet treat of an exercise, users can personalise their gift of chocolate by having photographs and names roped in from their Facebook profiles. The campaign shows that beyond a like or a share, successful engagement lies in the emotional contagion where a user shares his or her positive impressions with a wider network. With substantial engagement and creating a warm authentic feeling, Cadbury has shot the bull’s eye in winning the hearts of its consumers. We’re tired of food adverts that don’t try anything new. Imagine now a chatbot that asks pointed questions allowing you to customise a music video of your choice. Fronted by the popular mascot of Pringles, Mister P, users are asked on their prefered flavour and genre. They then have their dance moves filmed before sharing their music video. A visionary and ingenious exercise at merging back-end data and cloud platform delivery whilst providing users with endless entertainment and a reason to remember Pringles! Interactivity and personalisation are unique ways of getting people to remember your brand. Aside from brand call, it also allows users to keep learning more about what they provide, how they work and the product variants on offer. When done right, you’ll enjoy high traction rates and see your video be shared across channels with an impressive reach and worthy sentiment. Shed aside stale storylines and well worn production techniques and create a video that designs a unique user experience and engages users regardless of where they are based. With personalisation and interactivity, look forward to building and engaging with a vibrant community!